As it is, most people even students cannot clearly state the difference between a Ph.D. dissertation and a thesis. This is not necessarily because they do not understand the terms, but rather because they are normally used interchangeably. It is difficult to point out distinctive differences between the two terms unless we use a specific context like an individual university. The reason being, while one college may use them interchangeably, another one will define them apart. That said, the following are some of the differences between a thesis and a dissertation. Generally, the length of an academic paper will mostly depend on the course being taken or the specifications of the instructor. However, even with all these discrepancies, most theses are usually shorter than dissertations. To complete a thesis, a master’s student will only need one semester and this is the only project they undertake. On the other hand, the doctoral candidate takes several years to research and put together a dissertation. Some dissertations my even go up to four hundred pages depending on the specific program of study. Even though the structures of theses and dissertations do not vary by a major margin, there are a few differences that can be observed. For instance, a thesis statement will only give a brief explanation of how an argument will be proven. In contrast, a dissertation statement should have a clearly stated hypothesis that should be justified by the end of the project. A student doing their dissertation will be required to research extensively and get materials from many external sources. They are expected to be original even in the ideas they present and the matters they research about. This explains why they also take longer periods of time to complete compared to theses. In contrast, thesis research does not have to be that involving. Students use existing materials and refer to previous research projects to build on theirs. This helps in exhausting previous research projects with regard to the given suggestions. In the case of a thesis, most students do not care what becomes of their project as long as they get a good grade out of it. On the other hand, a doctoral student will research even more to develop and become an expert in the area they handled during their dissertation. A dissertation is done with the future in mind so that one can build on the findings. Even though the terms dissertation and thesis are often used interchangeably, the factors discussed here can be used to distinguish them. If you seek thesis writing help then you have an idea of how long it should take to have it done. Since the invention of money, shady shysters have sought to line their own pocketbooks off the blood, sweat and tears of others. Although no one wants to consider themselves a sucker, scammers continue to bilk people out of millions of dollars annually. Those seeking to defraud others prey on the good nature most people possess, as well as the emotions everyone experiences. Modern technology allows thieves new avenues for ripping off those caught unawares. However, those who educate themselves on common scam techniques can avoid falling victim. In these uncertain financial times, who doesn't fantasize about receiving an unexpected check in the mail, a lucrative work-from-home position or both? Scammers attack the economically vulnerable, since they know poverty persuades many to believe an easier path to prosperity must exist. Check-cashing scams often stem from legitimate employment searches. Cybercrooks target job-seekers with opportunities for easy income by processing checks for their overseas clientele. The thieves mail victims a realistic-looking check with instructions to cash it, return a certain amount via money-wiring services and keep the rest as their "salary." Often, the checks appear so realistic, even banks don't catch the fraud until after the victim has spent their so-called wages. Victims then face hefty overcharge fees for all money cleared after depositing the fake check, and may face criminal conspiracy charges in extreme repeat cases. Avoiding this scam proves simple: Never cash checks from an unverified source and never wire funds back to the initial sender. Most people possess generous spirits, and natural disasters prompt many to open their wallets to their charity of choice. However, those receiving solicitations for donations via phone, email or social media messages should hesitate before whipping out their credit card. To avoid charity scams, only donate to well-known organizations. If contacted by phone by someone soliciting aid, inform the caller that a donation will be made through the charity's website. Ironically, many online scammers trick victims into revealing their passwords and other important information, like credit card numbers, under the guise of needing to verify their identity due to a breach of their account. Never provide email passwords, Social Security numbers or credit card information via email or to unsolicited phone callers. When an email indicates a data breach, research online to see if others have experienced the same thing. Refrain from posting chain-letter breach scams on social media. Those silly "I got a friend request from myself" messenger threads only annoy those who recognize the hoax, so don't pass on any warnings not covered in the news. Every day, millions of Americans pick up the phone, say hello - and meet with a robotic voice urging them not to hang up before learning how to cut credit card bills by two-thirds, qualify for student loan forgiveness or enjoy an all-expenses-paid cruise. The best rule of thumb for dealing with robocalls? Simply hang up. Go even further by registering with the Federal Do-Not-Call list and reporting unwanted phone solicitations. The volume of calls may not decrease immediately, but multiple reports aid prosecutors in holding those responsible accountable. Wiring money to anyone but well-known family members overseas generally spells trouble. Wiring funds to unknown individuals means waving goodbye to cash that will likely never be recovered. Exercise caution when an online merchant only accepts payment via wire, as legitimate vendors offer ways to pay that don't include a visit to Western Union. Bank wire scams often target those seeking to purchase prescription medications without a scrip from a doctor, especially in the U.S., where many lack health insurance and sufficient funds to visit a physician for regular med checkups. CPAs and enrolled agents advise their clients that taxing authorities initiate contact via U.S. mail, not phone or email, when sending correspondence. However, savvy scammers imitate IRS agents so well, thousands get suckered into paying nonexistent liabilities with gift cards. Understand that all taxing authorities must follow certain rules of procedure when attempting to collect tax debt. The IRS website expressly informs taxpayers that the first step they take when collecting debt involves sending a snail-mail letter to the debtor's last known address. Hang up on calls from people claiming to be tax collectors and contact the appropriate entity directly to determine if liability exists. Report repeated calls from the same number to the FCC or local law enforcement, who will aid in filing charges, if possible. Criminals who fail at their pilfering schemes eventually give up and move on. Still, even when authorities apprehend one fraudster, others wait to take their place. By ignoring unsolicited phone calls and emails and by verifying any amounts won or owed directly with the responsible institution, everyone can help prevent others from losing their shirts in shady scams. There are times when you want to save any document or your file but you are unable to do so. And then there are times when your file disappears automatically or by human error. You must be looking for ways to restore and recover it. There are easy ways to recover any lost/deleted file but with Macbook, your task gets doubled up. However, there are ways to recover it, only if you are a bit aware with some rules and a little techie knowledge you possess. Find out how to retrieve your last deleted file (obviously by mistake) on Macbook. This goes without involving any third party intervention. Now there is a limit to retrieve your lost file. If it you have taken a month or so that your file has been deleted, then it might get a bit tough to get it back. 1] First, come, if you have deleted any file mistakenly, your immediate action should be to check your “recently deleted” folder. This is one simple way to restore your lost data. But if you think that you can retrieve any deleted data just like this, you’re wrong. This particular folder empties itself within 30 days. So you have some time before you lose it forever. This is also called ‘emptied trash recovery”. 2] Retrieving deleted notes from I cloud – while you have just bought your Apple device, your Macbook asks you to sync it with your Apple phone. So here is another great way of retrieving your lost data. All you need to do is to go to your “cloud id”. Sign in with your apple id. Choose notes. Find out your deleted file and save it back. 3] Time machine is next up. This is a built-in back up feature that is available only for mac book users. This automatically (autosaves) saves all your downloaded files – all means all; including music, photos, all other various downloads, apps, etc, etc. Isn’t this a great feature? So now you know that you are in safe hands and the Time machine is probably your savior. This is a quick and easy solution to recovering your lost data/notes. 4] Mac data recovery program is another feature that helps you get back your lost files. This is easy to use software and is your best choice. Whether you delete your data/file/notes or it gets deleted automatically, you have this as your option. 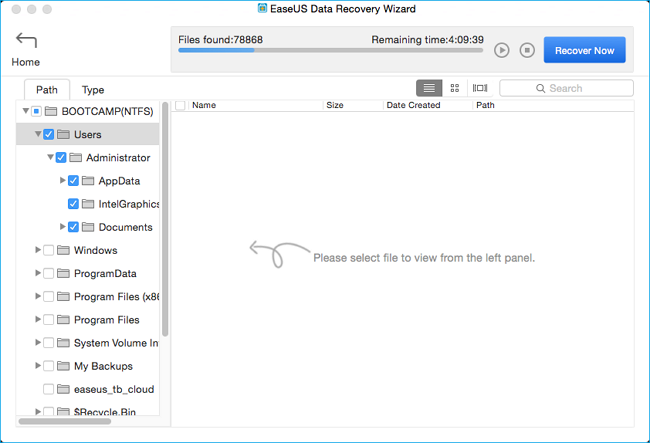 It allows you to recover and restore all the notes that are lost either by deletion or formatting or any virus attacks your disc; Ease US Mac recovery data is the best feature to retrieve your data. With these options at your fingertips, you possibly can save your files and lost notes. These features are only available with Mac book users and Apple users only. No third party invention is required in this as these are all available programs/software of Mac itself. There is no way that you could not retrieve your notes now. Many reasons exist for building a mobile app but what is outstanding is that an originative idea for a perfect mobile app is what anyone wants before designing and building an app. In order to build a successful and extremely popular mobile app, one that no one has thought of before, the following 10 steps have to be followed, the most important being getting started with the mobile app development process explained below. Problems are everywhere and that is why they are needed for this first step. A successful app solves problems that are unimaginable after all, every service and product around you came up in order to solve a particular problem. A car, for instance, moves people faster from one place to another and a plane moves people faster over greater distances like from one country to another. A helpful way is to look around in your daily life and list each problem. Once the list is exhausted, think of a number of solutions for each problem and shortlist the most sensible solutions. Validate the idea by utilizing the Google Keyword Planner tool to find the number of individuals searching out for what you are trying to accomplish. Validation is necessary because it eventually demonstrates that there is a demand for the app you want to build. A landing page can be created to widely highlight the app idea and to look out for user interest through email signup. Having validated the app idea, to show that you have something people need to use, it then calls for putting details of the product onto a document. In order to go further, a wireframing tool should be utilised. Details are necessary when the idea is put on paper. It calls for noting down every important detail. Considerably, the flow to be undertaken by the user, as well as all the required features, should be included. All these aims at painting a clear picture for the developer to understand your expectations clearly. After preparing the document with details of the flow and features, closely examine features that can be done away with. The core values of the app idea should stand out. It is advisable not to include “nice to have” features in the first version as these can be added afterwards as updates. Why is that important? It is because the initial costs of development will be lower to ensure a quick get-into the market. Instead of coming up with a very basic design, get a developer with user experience and graphics, who will put a very classic design. Many opt for creating a basic design so that they invest more time in developing the app. This is not advisable, because the design is not only about how the app looks but more of how the user experience using the app. Look after a design company renowned for its design talent and a reliable development team. To assist with the search, it will be helpful to look at their credibility first and the quality their created apps online. To be able to sell the app through Google's platform, it is paramount that you register for a developer account with the respective app stores. A charge of $25 a year is required by Google's Android while a charge of $99 is required by apple annually. After it has been formed, there is a choice of registering either as an individual or as a company. Analytics are important to the app creator for monitoring progress. Tools like Flurry and Localystics are outstanding examples of analytics help in tracking down downloads, retention for the created mobile app and most importantly, the user engagement. Flurry is available for free and a free and paid version of Localytics is readily available. Step 9: Get quick feedback and improvise. Dynamism calls for constant changes and enhancements, therefore, monitor user feedback and continue building. This is called for after the app goes live on the app store since insight on improving and enhancing the app is given by the customer’s behaviour and their first set of users. Version one of the built app has the core offering only and limited features. Gradually, this calls for evaluation and introduction of features that were left behind when the initial version of the app was established. How to go through this step will be guided by analytics and feedback. The two will determine if the features are relevant. In the app development trends, the ten steps listed above are not inviolable instead, from experience; they are just guidelines on how to effectively come up with apps. From the details above, it is important to research and discover if other apps are doing the same thing as what is intended to accomplish, to find what inspires the design and details on technical requirements of your app. building an app is the least challenging part. The challenging task is how to get the customers and how to market and monetize the app.